We all know that a website takes time, effort and money to build so that it looks professional and serves its users best. Website planning can help you avoid many of the pitfalls common to building a website. Avoid circular development with endless revisions. Cut down on development time. Reduce costs and create a better final product with these professional website planning tactics. Many people know that website planning can help reduce the amount of time spent building it. Unfortunately, there are those that still do not bother to plan merely because they think the planning itself will take too much time. Planning a website does take time, and there is a cost; it’s easy to see why one might think to start building right away and fix it later if it doesn’t work as intended? Pre Planning websites in advance is a much better option and should be at the forefront of every web developer’s mind. Not only does planning save you time, but it can also reduce unnecessary headaches, as well as costs. While these facts are enough to convince most people to focus on website planning, planning also has additional benefits. When you take the time to plan, you create a better user experience for visitors to your website. This leads to a more cohesive site and overall better results. How do you get started planning a website? First, you must begin by defining your goals. You’ll need to know what your clients and stakeholders want before you can create something that fits their needs. You do this by identifying your target audience. A website displays pictures and words, yet many website creators forget this fact until they are waiting for content to be delivered. This stress can be alleviated with some proper website planning. Instead of designing your site and proudly announcing that you are ready for the content, why not ask for the content before you start tinkering? 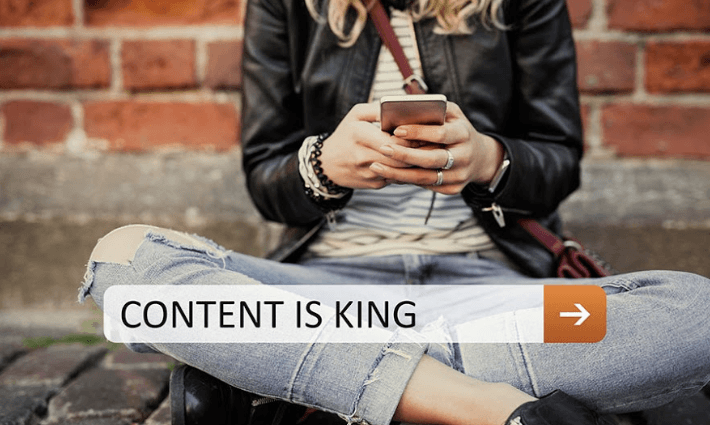 Content is an essential part of every website, and it should drive the design of yours. When planning a website, focus on gathering your content ahead of time so that you create a design that fits the content, not the other way around. Coordinate with knowledge resources to create outlines of the information you’d like to include. Hire writers to create website content from these outlines. While your text is being created, focus on gathering other vital pieces of content such as headers, images, media assets and SEO features. These HTML elements help make your content both interesting and discoverable by search engines. Speaking of search engines, it’s a good idea to plan your SEO now rather than after the website goes live. Otherwise, you might have to complete tedious tasks later, such as rewriting page URLs and locations after the fact. You also potentially increase the amount of time that it will take for a website to rank. Google will need to re-index any of the SEO optimizations that you make before you earn your proper placement on their search engine, so it’s a good idea to get it right in the first place. Although it can be tempting to think of your website as one massive project, planning each page individually is a much better approach. After you’ve planned your content, start creating a plan for your pages. Give each page a dedicated topic and ensure the content stays focused on that topic. After the content is in place, begin structuring a hierarchy and adding your page structures. You’ll also want to organize your content into folder structures, grouping them by topics or content types. By focusing on each page individually, you will have a much better understanding of what is going on the entire site, and it will make the next step a breeze. How will visitors travel through your site? Planning a navigational structure will help you and any other project decision makers visualize the path a website visitor might take, and it also helps ensure a pleasant experience for the user. Illustrate this path by creating a user flow diagram. 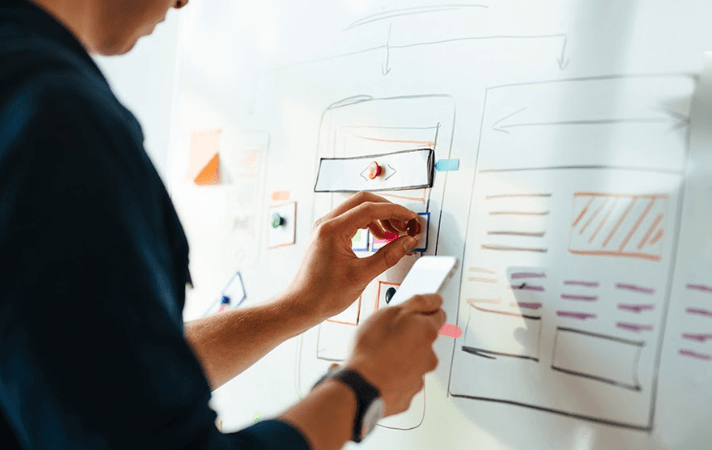 When creating user flow diagrams, pay particular attention to plan how users flow through pages and processes such as registrations and checkouts. These areas often have many options, all of which should be demonstrated in your flow diagrams. You’ll also want to consider all the visitors to your site. Although you likely have some idea of the type people that will visit your website, have you considered all of them and how they may interact differently? Should specific audiences take different paths through your site? If so, you should plan unique experiences for them as well. Creating a navigational structure during the pre-planning process can also identify potential problems. This an excellent strategy for identifying navigational dead-ends before the user does. By making users plan their potential routes, you will leave them with nowhere to go. 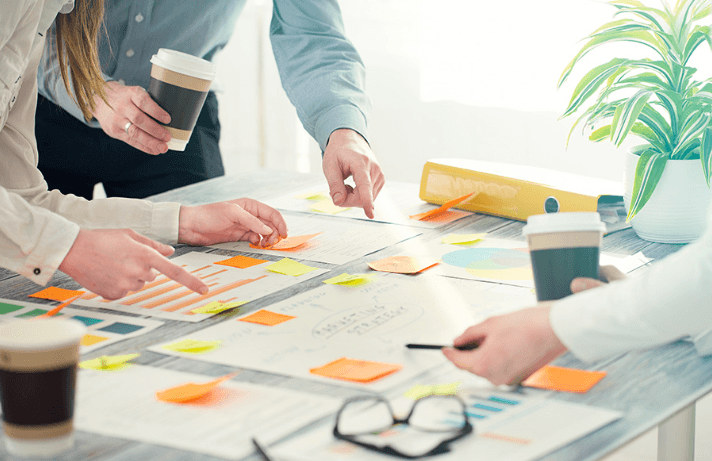 Part of website planning is collaborating with others on how it will look and work – which can be challenging, especially when a group of people is involved. So, how do you ensure everyone knows what is going on with the project? One of the most common ways is to create a draft and send those drafts to others for approval. Maybe you host a test version of the site for them to view, leave feedback and get back to you. Perhaps they send back suggestions, and you make a few changes to the code. How long do you think that process will take? Pre Planning websites mean more than writing down a list of what you will do. It also means including visuals that show it. Reaching an agreement on how a site will look and function is perhaps the lengthiest part of planning a website. Because of the complexities of web design, the revision process can take days. However, it doesn’t have to be complicated. You can get most of the approvals before you start playing with the code. Use visual website planning tools such as diagrams to show those involved how a site will work and look before you start spending too much of your valuable time. If you want to cut down on the amount of time spent building a website, you’d focus on getting it right the first time. Website planning can help with that as well. By communicating your plans at the beginning, clients are less likely to want changes at the end. If your primary concern is the user, user researcher and UX flow diagrams can help reduce the need for revisions due to user dissatisfaction. When it comes down to saving time, the more that is said upfront, the better. Feedback isn’t just for before you start building your website, it’s also a good idea to ask for feedback at regular intervals to prevent a bunch of unnecessary work after the fact. One of the biggest time-wasters is spending a lot of time working on a project, only to later find that it wasn’t the direction you were supposed to be taking. When asking for feedback, make it easy on others. Offer a few options for them to choose from. This makes it easier for them to decide on the direction you should be taking. A template can save you plenty of time on your next website project, and there are plenty of options to choose from. Templates are great timesavers because they aid in rapid website construction and deployment. They can be used for both HTML websites and CMS platforms such as WordPress themes or Joomla templates and often have SEO optimizations built in. Many webs developers use out of the box templates to quickly deploy professional looking and SEO friendly websites. They also make ideal starting points for custom website projects. With templates, it is easy to make your own customizations or focus on unique designs that give your chosen templates a personalized touch. For a great selection of templates, we like TemplateMonster, a website that hosts thousands of beautiful and customizable website templates that are appropriate for nearly any purpose. When presenting templates to your clients, it is a good idea to send three. Ask them to tell you what they like about each, then incorporate that feedback into your customizations for your initial design. Not only does this step help you figure out what they’d like to see, but it also reduces the number of revisions you end up doing later. If you’re looking for an easy and affordable suite to support your website planning projects, checkout Slickplan. With tools for site mapping, diagramming, content planning, and more, it has everything you need to plan a website. Slickplan is perfect for planning a new website or redesigning existing ones. On top of that, its collaborative and sharing features make it ideal for professionals, teams, and agencies. You can easily share your website plans with clients and stakeholders, and you can even brand your interface for a professional experience from the beginning.